Community groups -- send us your event details and we will add it to our calendar. When entering the MD for the first time you will descend into the beautiful Peace River Valley and then cross over the unique and breathtaking Dunvegan Bridge, the longest gravity-anchored suspension bridge in Alberta. Council has adopted the "Code of the West" as a philosophical guideline for our Municipality. To view a copy of the "Code of the West" please click here. spread out the remaining material within the pile using a metal probe, or if necessary, heavy equipment. Dig down into the soil to make sure the fire has not burned down to the root system. soak the area and ensure both heat and smoke are no longer being produced by the pile. Roll the debris over. Using your bare hand, feel for heat while looking for steam. 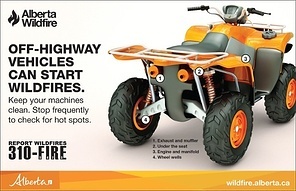 Off-highway vehicles can start wildfires – check frequently to ensure hot spots such as your exhaust, muffler, under the seat, wheel wells, engine and manifold on your OHV are free of debris, and ensure that your muffler and spark arrestor are working properly. The MD of Fairview No. 136 is creating Intermunicipal Development Plans (IDPs) with the Municipal District of Peace No. 135 and Clear Hills County. An IDP is a statutory plan jointly developed by two (or more) municipalities that share a common boundary to manage land use, growth and development along their mutual boundary. It is required under the Municipal Government Act (MGA). More information about the two IDPs, including the plan process, can be found here. To view our employment opportunities please click HERE! Communities and organizations are invited to apply for funding to host Alberta Culture Days events to showcase their arts, heritage, diversity and community spirit. FOR MORE INFORMATION PLEASE CLICK HERE. For more information on upcoming deadlines please click HERE. Section 3 of the bylaw prohibits consumption of cannabis in a Public Place, unless an exemption applies under the Bylaw. To view the full bylaw, click HERE. For more information on Federal and Provincial regulations, click HERE. or easily find it AF main page . The Safer Communities and Neighbourhoods (SCAN) unit makes communities safer by using civil legislation to target residential and commercial problem properties in rural and urban Alberta where specified illegal activity is occurring regularly. 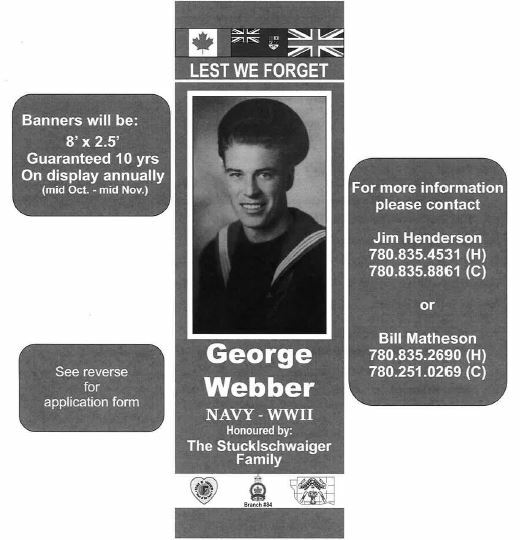 If so you may be interested in purchasing a MEMORIAL BANNER through the FAIRVIEW LEGION. What is the Priority Sequence? 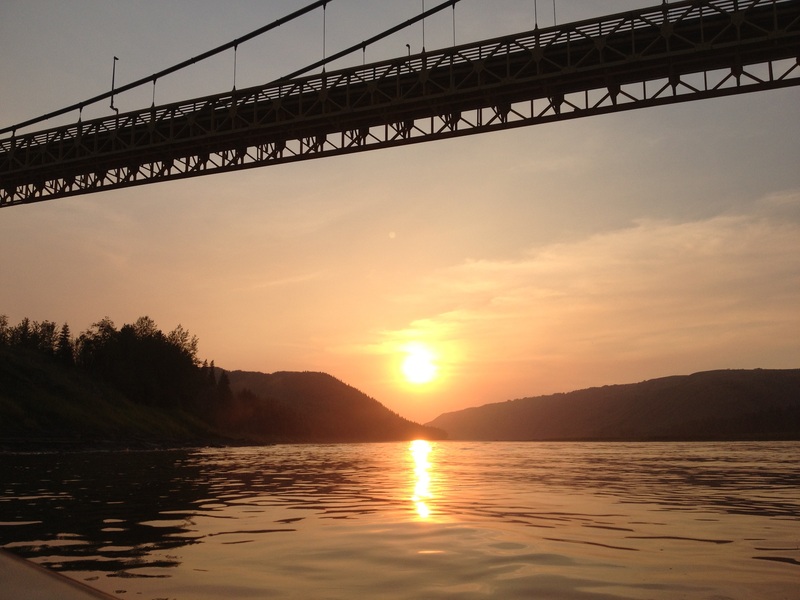 Please click HERE for information on these Water Act Essentials. The Municipal District of Fairview N0. 136 is a sponsor to Friends of Historical Northern Alberta Society (FHNAS) for the History Check App. A new way to explore Northern Alberta! For more information or to download please click HERE. As rural Albertans gear up for another season of farming, Inter Pipeline joins the rest of the nation in observing Agricultural Safety Week and would like to take this opportunity to remind Albertans of the importance of clicking or calling before you dig. Inter Pipeline is committed to making the safety of its pipeline system top priority. If you are planning to dig or excavate, even if it is just putting in a fence post within 30 metres, or 100 feet, of a pipeline, please take the time to know what’s below before you begin, and call or Click Before You Dig. This free service locates buried utilities and pipelines on your property, so you can work safely. After learning of the Government of Alberta’s proposal to permanently protect 1.8 million hectares of land for caribou in northwest Alberta, Councillors from the area’s six municipalities leapt into action and formed the Northwest Species at Risk (NWSAR) Committee to ensure local voices were heard. The committee created a report for the federal and provincial governments to consider when implementing plans to protect the Woodland Caribou- which are a threatened species. The Committee wants to see protection plans be effective but also consider the socio-economic impacts to our communities, so that we can be prosperous and keep jobs here. The committee believes that the caribou can be protected without creating a provincial park and even protect them more effectively without creating a park. Through the Committee’s hard work over the past year, a socio-economic analysis, the collection of scientific data and extensive multi-stakeholder consultations, a report was created with ten specific recommendations for responsible caribou recovery. A strong, unified voice of municipal leaders and area residents is vital in responsible protection of all species at risk. Due to substantial weight of brushing equipment, a crossing agreement is required before performing work on the right-of-way. Contact TransCanada to apply for an agreement. Brushing poses a significant risk to the integrity of the pipeline as it removes soil cover. Before brushing, contact you local One-Call Centre- it's a FREE service! TransCanada will send a representative to mark the location of the pipeline facilities and must be present to oversee the work. Ditching poses a significant risk to the integrity of the pipeline as it removes soil cover. Before ditching, contact your local One-Call Centre. Trans Canada will send a representative to mark the location of the pipeline facilities and must be present to oversee the work.